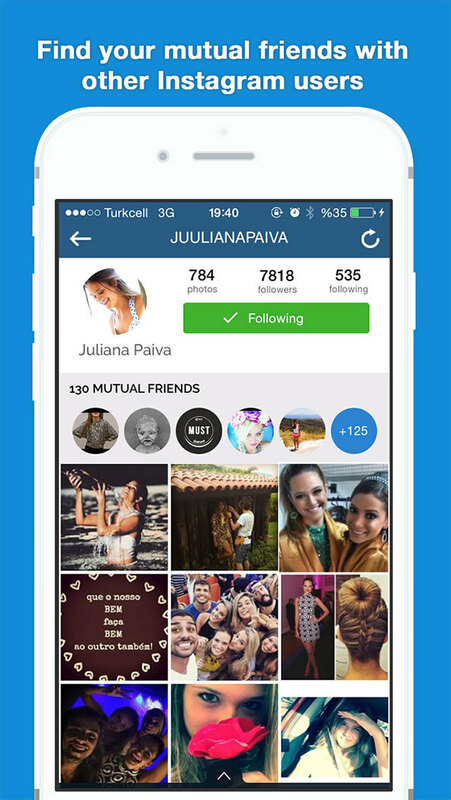 Easy & fast way to find out your mutual friends with others on Instagram! 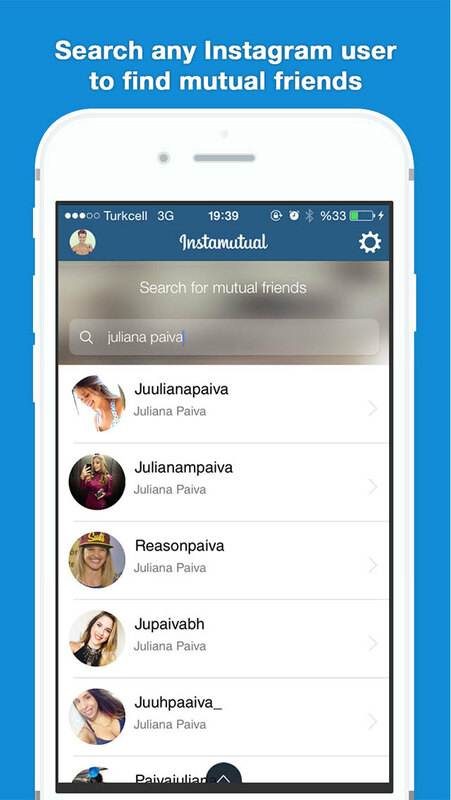 InstaMutual for Instagram makes it easy & fast to find your common friends with other Instagramers. After you enter to users profile page from the search results it will only take few seconds to fetch the results and show you how many mutual friends you share with that user. You can also see the full list of mutual friends you share with that user by clicking on any of the shared mutual friends profile icon in that users profile. 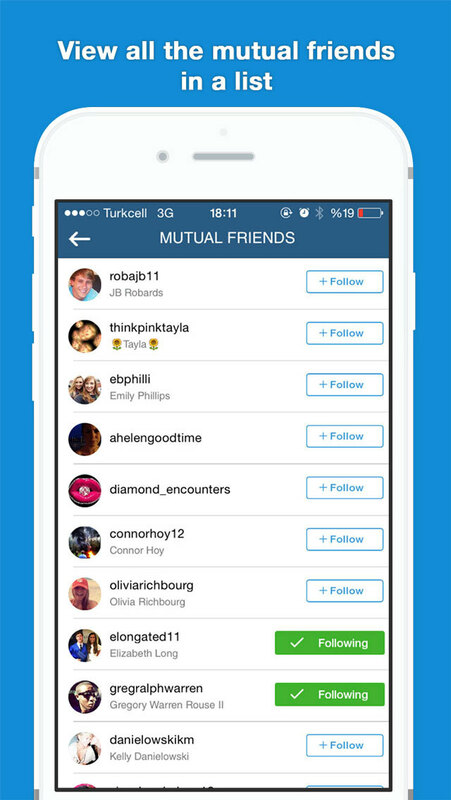 NEW HOT UPDATE: Now you can see who viewed your Instagram profile on InstaMutual in your settings panel.